Cage Free, and the Living is Easy! 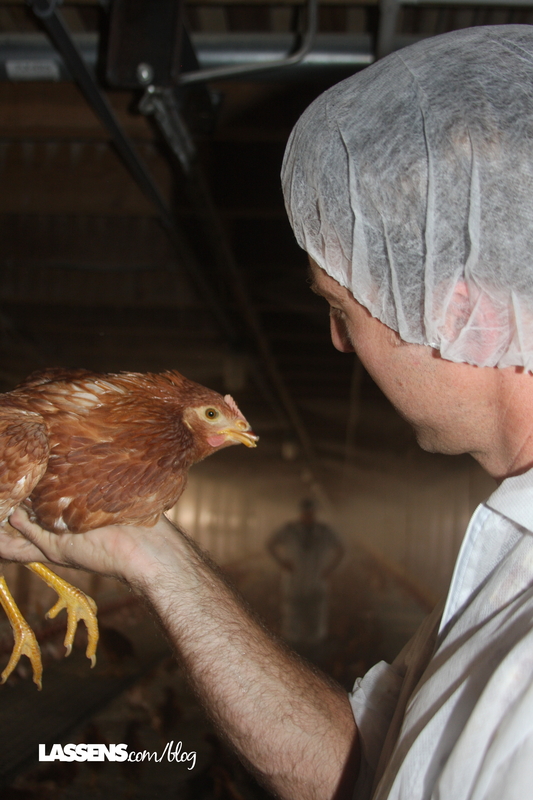 Chris shows us his mad chicken-whisperer skills! Chris Nichols went off and did his own thing for a few years, but his grandfather’s business drew him back. Now he leads the crew at Chino Valley Ranch, where Organic is in their DNA. Some of us at Lassen’s got to drive out to see Chris and his Egg operation, and it was a treat! When we visited Chino Valley, we were able to see some of the flocks. We started by seeing a new flock of chicks, just about 11 days old. They get about 31,000 at a time from certified growers, and at 5 days old. These chicks, in a flock of about 31,000, are about 12 days old! The first building was full of the fluffy little bodies, and they were not quite used to people walking around them. They skittered away from us, some to go out the doors to the outside. But it was a hot day, and most preferred to stay in the shade. Free to wander… but still like the shade and company! After World War II, Charles Burton came to California from Iowa, and he needed a job. He worked for a Dutchman delivering eggs and milk. He did such a good job that he ended up buying the route. He soon realized that he could make more money selling eggs, so he started a small backyard flock in Arcadia. Well, it depends on your definition of small, but that first flock had about 300 birds. Charles built up the business, doing everything by hand. His son was a machinist, but when Charles suddenly died at age 63, he ended up taking over the business. 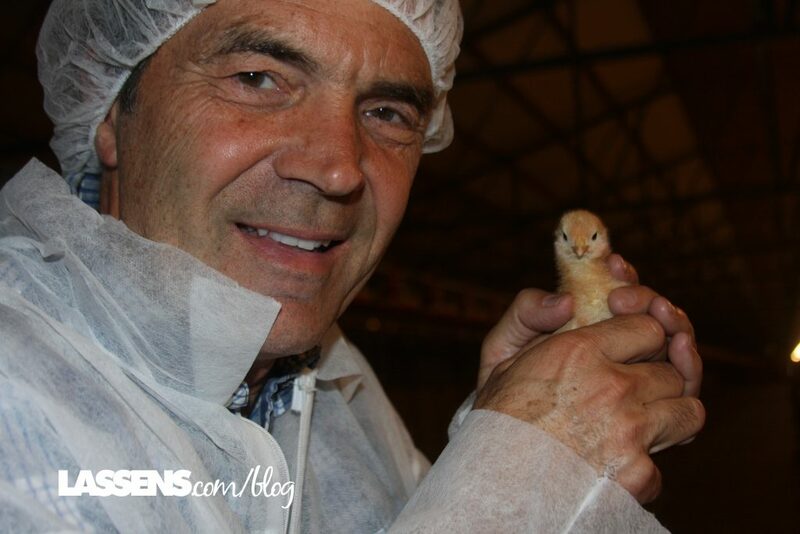 Peter holds a little fluff-ball chick! In 1988, Nichols Ranch bought Chino Valley Ranches, and the “hippies” who ran it pushed him to establish a cage free and organic operation. After attending a Natural Foods Trade show in the early 1990s, they saw the direction that they wanted to go. 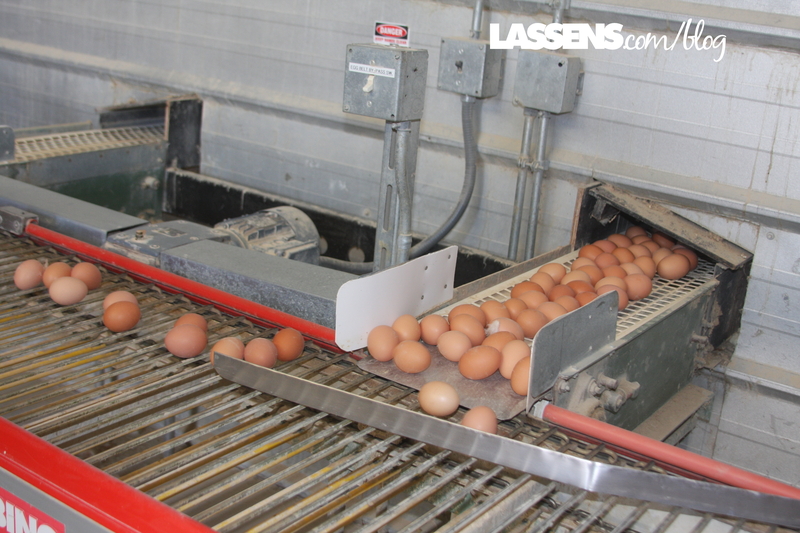 With encouragement from Alta Dena Dairy, they started to produced fertile eggs, too. Here’s a look at the special, nutritionist-designed organic feed for the birds. The Natural, Cage-free, and Organic eggs just “took off.” Equipment was purchased, the Ranch was expanded, and Chino Hills Ranch became an organic powerhouse in the egg industry. 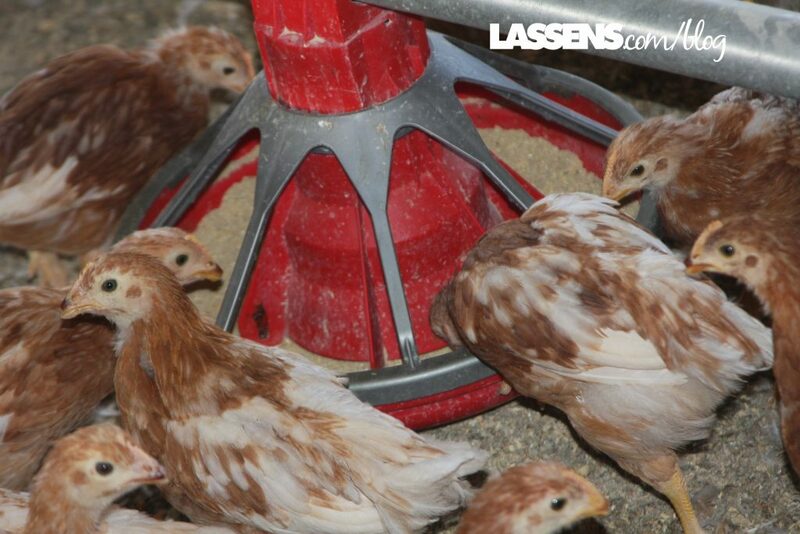 Yup, these are full of the organic ingredients for the special feed! 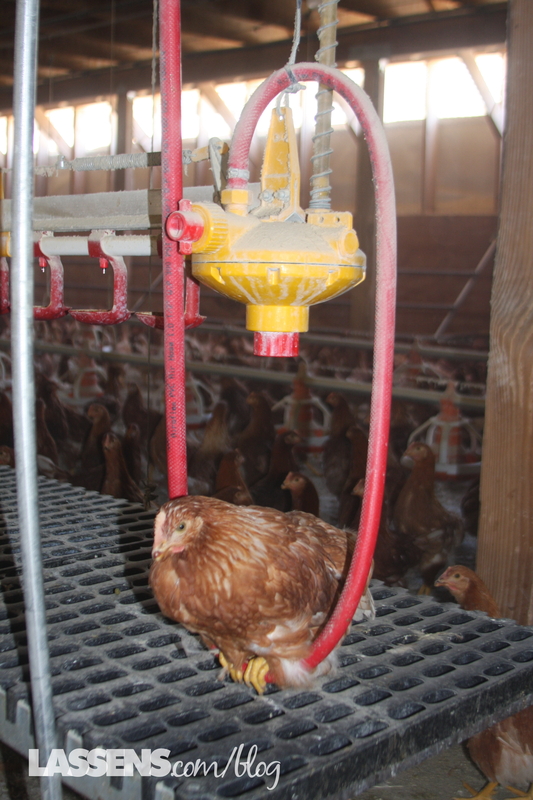 Now with the third generation of Nichols in the business, Chino Valley has their own Nutritionist, to make sure the feed is nutritionally balanced, as well as organic. 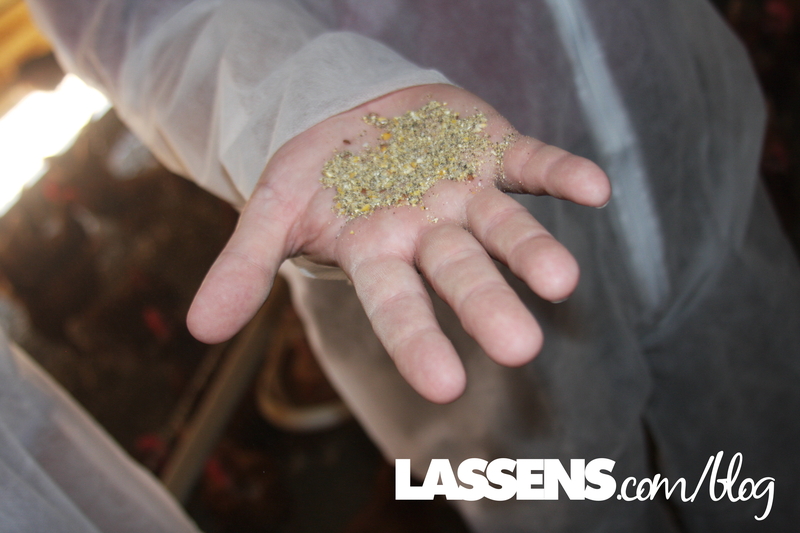 Every batch of feed is sourced specifically for their Ranch, and milled in-house to have maximum control. 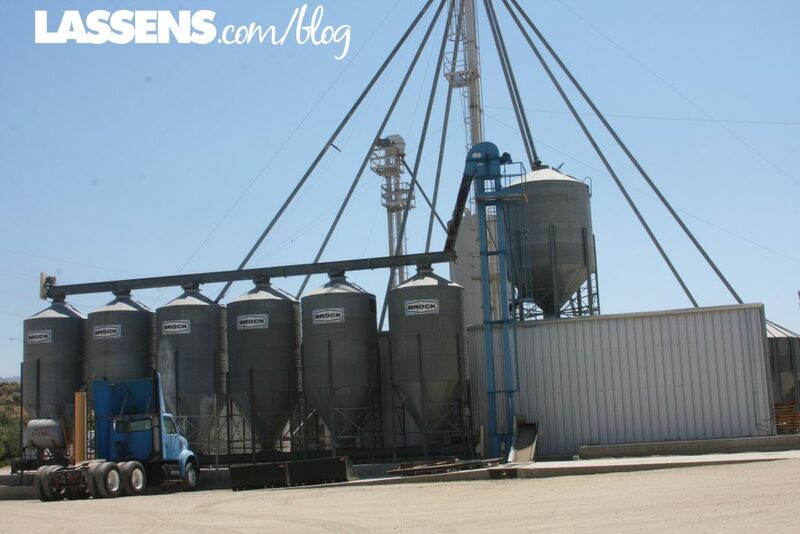 Chino Valley Ranchers also tests every batch of feed to make sure it is 100% organic. 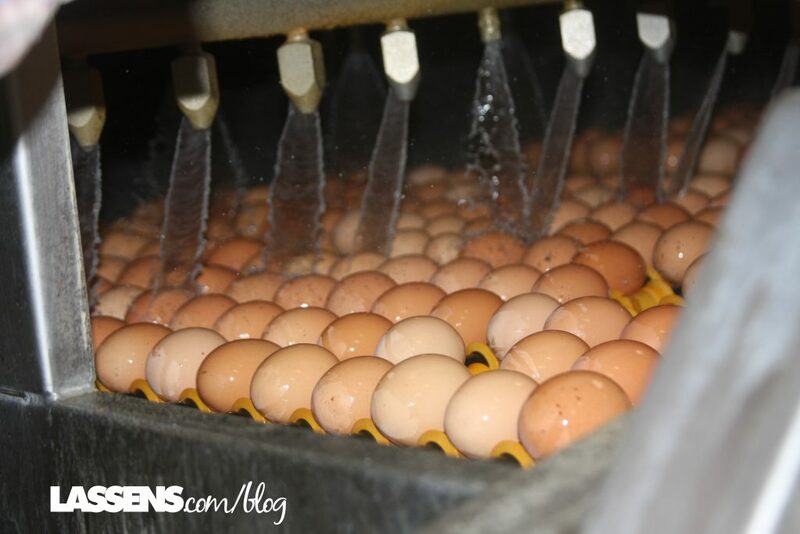 It takes 4 lbs of feed to produce 1 dozen eggs, so they want to make sure every bit of feed is the highest quality possible! 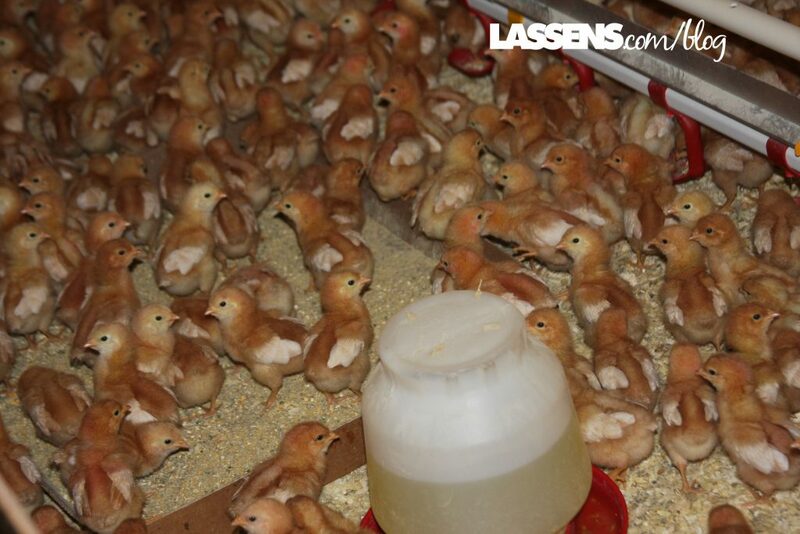 Next we saw 6-week old chicks, then some at 14 weeks. 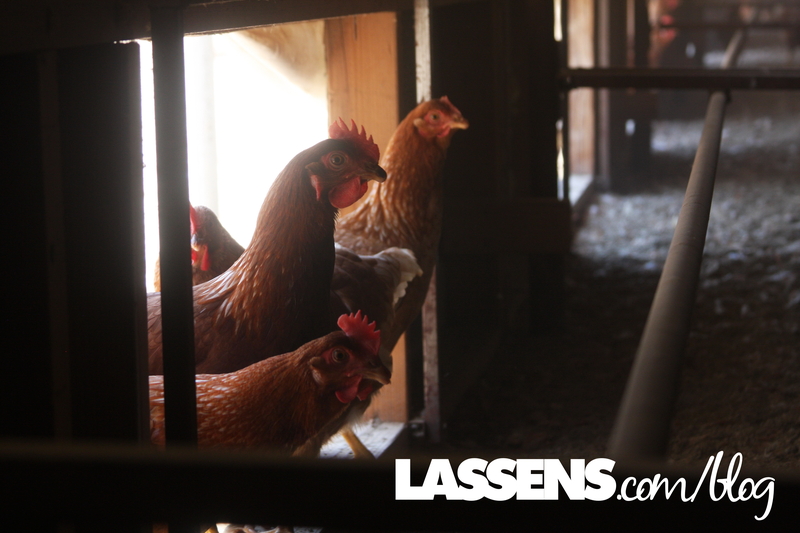 The older they got, the more used they were to people coming into the hen houses. 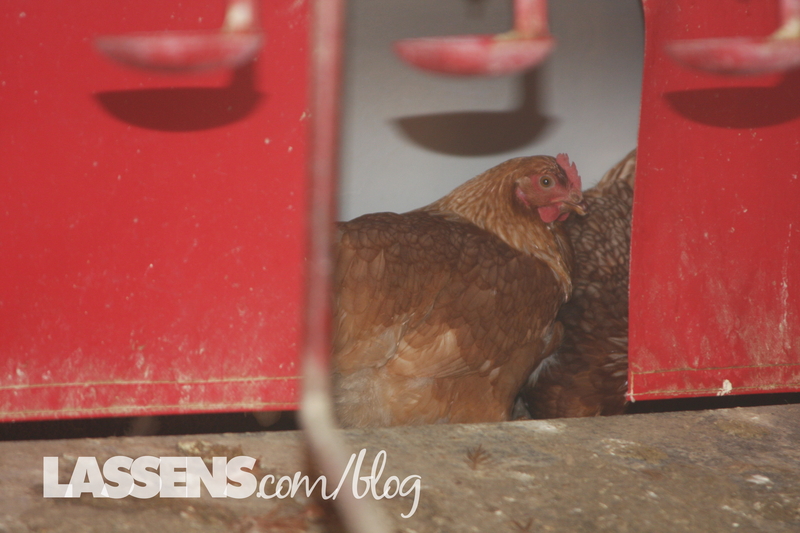 We were able to see the older hens as they hopped onto the platforms and went into the laying enclosures to have a little privacy as they laid their eggs. 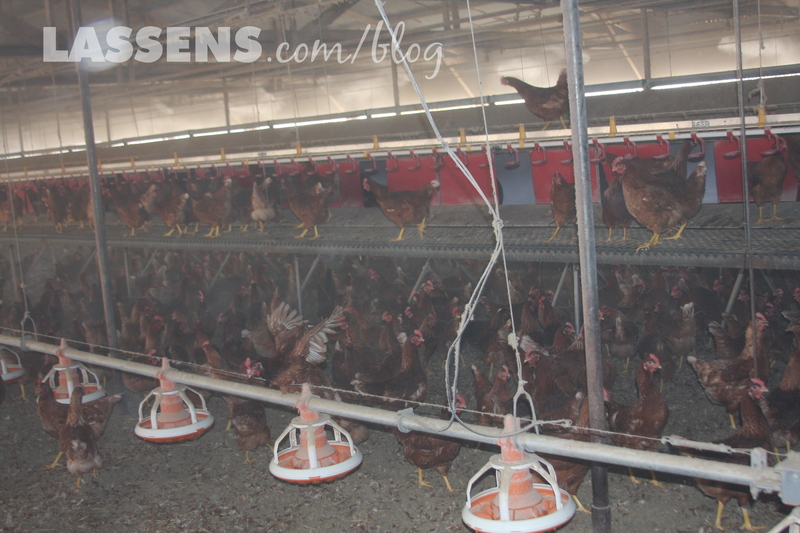 Food, water, space, and training were all carefully managed so that the chickens were treated humanely and healthily. 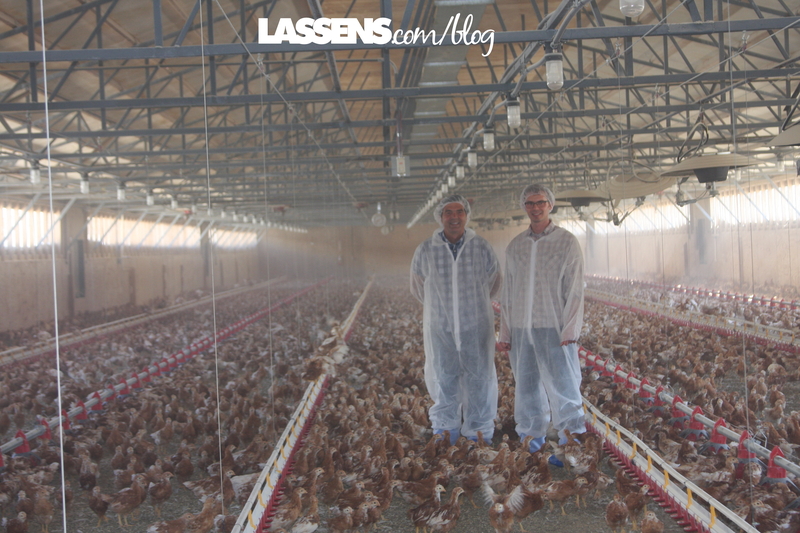 After enjoying the chicks and hens, we drove to the packing plant, which is a marvel of modern machinery. Everything from cleaning and sorting to packing, inspecting, and labelling was handled smoothly and efficiently. 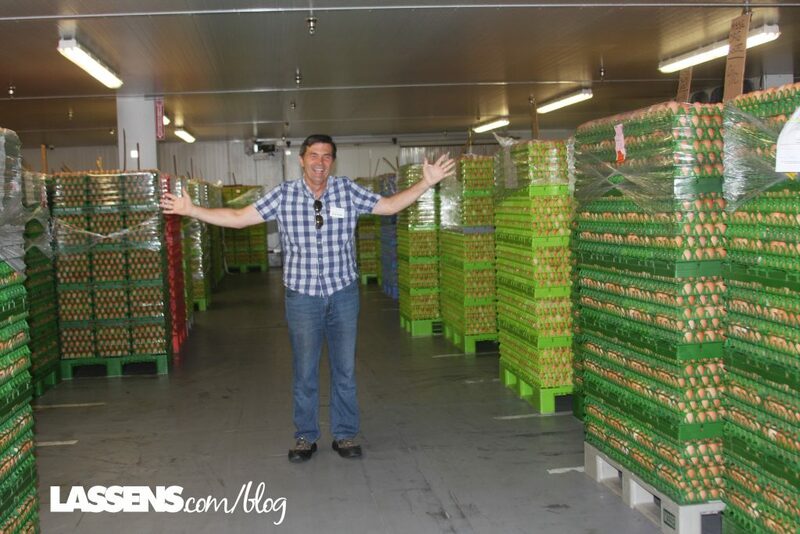 When we asked if there were about a million eggs in the plant, we thought we might be exaggerating, but David, our guide, told us that they had 22 million eggs in the inventory that day! Yes, twenty-two MILLION! They were all headed for distribution, and the eggs go from hen to store shelves in just a matter of days. 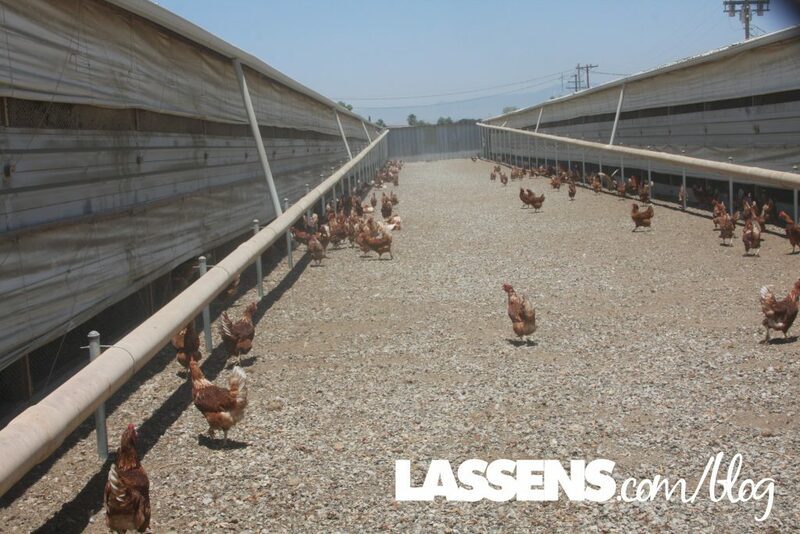 Lassen’s is proud to support a local and organic egg producer, particularly one who has been a leader in the organic movement. Let’s support organic whenever we can! 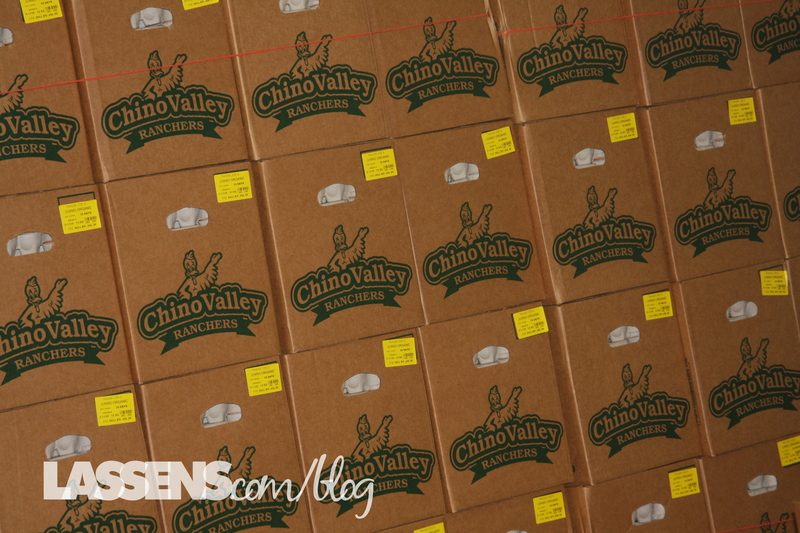 We love Chino Valley Ranchers! Enjoy these delicious Chino Valley Ranchers Eggs — available every day at Lassen’s!